Activision has released four new videos showing off each of the maps from the Nemesis DLC pack for Call of Duty: Ghosts. 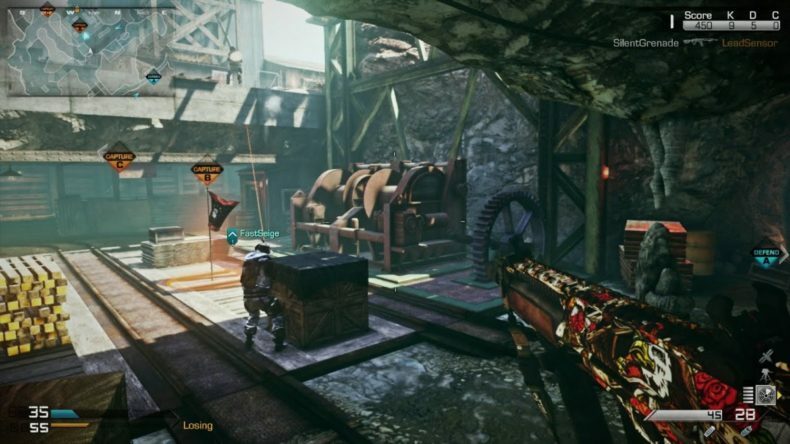 The videos feature all of Ghosts’ four new multiplayer maps Goldrush, Subzero, Dynasty, and Showtime. The videos are presented as competitive gameplay, there’s even a play-by-play by commentator’s like Major League Gaming’s Chris Puckett. Considering that you can run people over with minecarts in Goldrush, however, I do have to say a huge opportunity was missed to demonstrate that system-selling feature. Nemesis is coming to Xbox One and Xbox 360 first on August 5. It should follow for PS3, PS4, and PC about a month after that. The pack will cost $15 on its own or is available as pars of a $50 season pass that gives you access to all four pieces of DLC. In addition to the four maps, the DLC also includes Exodus, the final chapter of the Extinction anti-alien storyline. I’ve embedded the other three videos below.